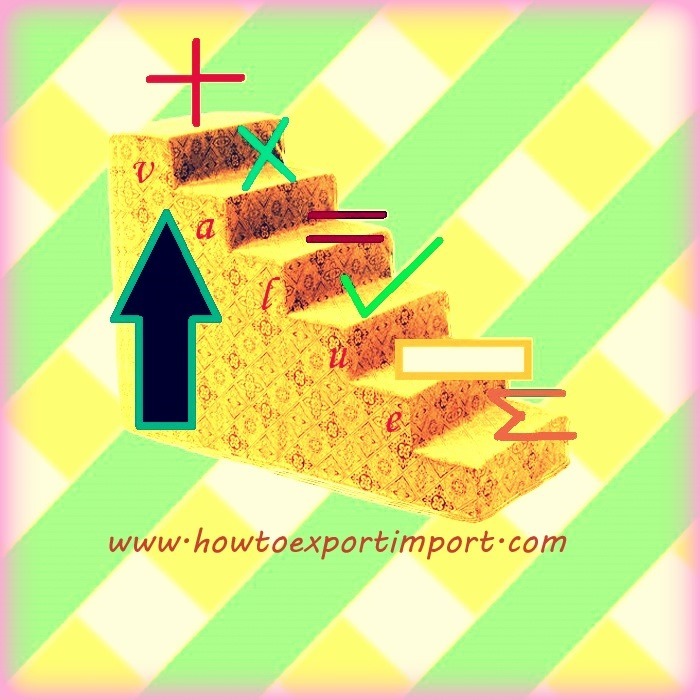 What is Assessment of goods in Imports? How is value assessed in import by customs official? How many types of value assessment is there on the basis of inspection of goods? Can all goods be value assessed immediately up on filing of Bill of Entry? Normally in most of customs houses, there will be a group of appraising professionals specialized in particular commodity or commodities for assessment and import permissibility. Once after generating bill of entry number after registration, the said details of bill of entry is passed on to the computer system of appraising officer authorized for assessment. All concerned customs officials need not be physically present at import destination customs location where in online value assessment is done electronically. Value appraisal of imported goods by customs official could be after completion of examination of goods or before examination of goods. First check or Second Check appraisement is decided either by customs officials or by importer depends of nature of goods imported and discretion of importer and customs officials separately. I have written about First Check Appraisement of Imports and Second Check appraisal of imports in separate article in same web site. You can have a look in to the same to have more information about appraisement of imported goods. If value assessment is after First Check Appraisement, inspection of import goods are carried out and the concerned inspection of customs officials provide a report on such examination. This examination report is electronically sent to concerned appraising officer of customs. If appraising officer of customs requires further information to assess the value of goods imported based on the documents produced by importer, he arranges to call for any further documents, personal hearing with importer or draw sample of goods imported. Please read one of my articles in same website about drawing test sample to know more about test report in import clearance procedures. As mentioned in the said article, customs assessing officers cannot assess value of all imported goods immediately up on examination and supporting documents. Some of the goods may require to be sent for details inspection by the concerned government agencies specialized. For example, there are many types of chemicals, if a particular chemical is imported, the concerned customs official for appraisement may not know the actual value of such chemical. The value of imported goods has to be roughly matched with the present market value of similar goods. Means, the assessing officer has to find out, whether any malpractice of under invoicing or over invoicing effected by the importer/exporter. Value appraising officer of customs has to verify whether the goods imported are the same which importer declared in documents. If requires, an assessing officer of customs can order to examine hundred percentage imported goods. In such cases, all pieces and parcels of goods are de stuffed in to the customs bonded area and arranges a thorough inspection of imported goods. A report on such hundred percent inspections is delivered to assessing officer of customs by deputed inspection team of customs. Once after completion of the above procedures and formalities on assessment, appraising officer of customs determines the rate of duty on imported goods if applicable. Once after deriving the classification of imported goods, the rate of import duty is reflected electronically on the basis of software system of Customs Tariff. The assessable value of imported goods is determined based on such software. I hope, I could explain about value appraisement of imported goods in simple and easy language. Have you satisfied about this subject – Assessment procedures of imported goods and import duty determination? Would you like to add more information about this subject on determination of import duty amount after value assessment by customs officials? Share below your experience on this subject about valuation of imported goods by customs and determination of import duty. Discuss and comment below your thoughts about this subject on import duty determination after value assessment of imported goods by customs officials. Reduced GST rate on All synthetic filament yarn, such as nylon, polyester, acrylic, etc. Ben: On 11 March 2015 What is the correct process to facilitate a purchase in country A. By a company in country B. To be delivered with mark up and invoiced docs to a client in country C. I understand the banking aspect , my question is more on proper paperwork to facilitate this type of transaction. As the product never goes to country B. Is this common are the issues with this type of transaction? Casper: On 12 May 2016 Hi, dont know if this discussion forum/ the poster is active in answering questions. "The value of imported goods has to be roughly matched with the present market value of similar goods. Means, the assessing officer has to find out, whether any malpractice of under invoicing or over invoicing effected by the importer/exporter." The quote above says that the value has to be roughly matched with the present market value. Does this mean that it's not necessary to give the price you paid for the product, but instead go a few dollarcents lower, as this will still roughly be the market cap. Which will result in paying less duty? Thankyou! What is Meant by Containerization?